Padmashri & Padmabhushan awardee Dr. R.A. Mashelkar will be visiting Belgaum on January 28, 2013 and would be delivering various lectures at different places. Lokmanya Society has organised his lecture “India- The next super Power” at 6.30 p.m. On January 28, 2013 at Sanklap Bhumi, Jaitan Mal, Parvati Nagar, RC Nagar Belgaum. 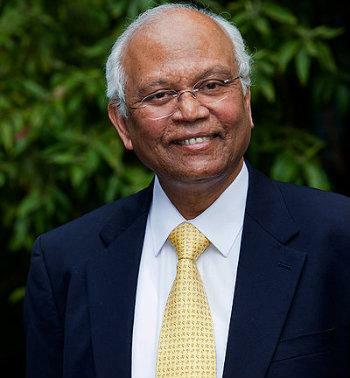 Dr. Mashelkar, the former director of CSIR is presently the president of Global Research Alliance, and the Indian National Innovation Foundation. He has delivered over 100 prestigious lectures some of them are The Alfred Deakins Lecture (2005), Melbourne 2nd Etienne Wolf-Ramanujan Lecture in the French Academy of Sciences (2007), Paris Launching the Indian Innovation Movement: JRD Tata Corporate Leadership Award Lecture (1999), New Delhi. Mashelkar has chaired several important high-powered committees at National level during the last 10 years in diverse fields dealing with higher education, institutional restructuring, energy, research and development, telecom, national auto fuel policy, spurious drugs, recombinant pharma, etc. These Mashelkar Committees have made a major difference in post liberalised India. He has over 25 honorary doctrates to his credit apart from several patents in the field of science and technology. He has authored several articles, papers and books of national and international repute. Dear Sir Dr. Mashelkar , not knowing about yo uand your contribution in developeing SARAS aircraft , I congratulate Dhatoti Brothers and Thank you for fecilitaiting them , but I expect you to project Belguam as next Aerospcace manufacturing industry hub, which is very much Bangalore centric as of now.